When I was reading books to my toddlers I would try to find something that wasn’t mind numbingly boring for me, because we all know you’re gonna read that book 66 gajillion times, so you better love it. I tried to find things that were cute but also had a cool theme. When we moved here to the U.S. Miss Gremlin was still so little, so I was always looking for Aussie stuff for her. I also tried to fine Aussie themes. I desperately wanted her to have an Aussie accent, we failed miserably, she’s got some weird aussie/american/english hybrid thing going on. I blame Dora. I came across these Noble Platypus books recently and although they’re not written by an Aussie, they have a platypus as their hero. I was immediately attracted. Who doesn’t want a platypus guiding you through life? Well I DO! And I know your toddler does… Even older kids love platypuses, look at how popular Perry the Platypus is on Phineas and Ferb. And he’s the hero spy. Platypuses are like that, they know stuff. 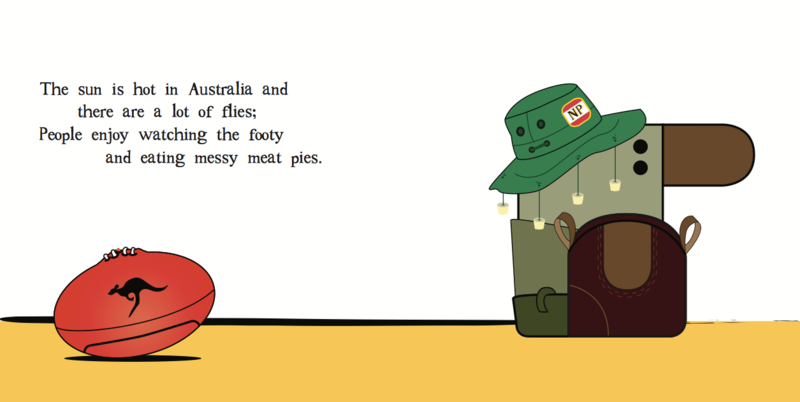 The Noble Platypus endeavours to teach toddlers about work and travel and play. 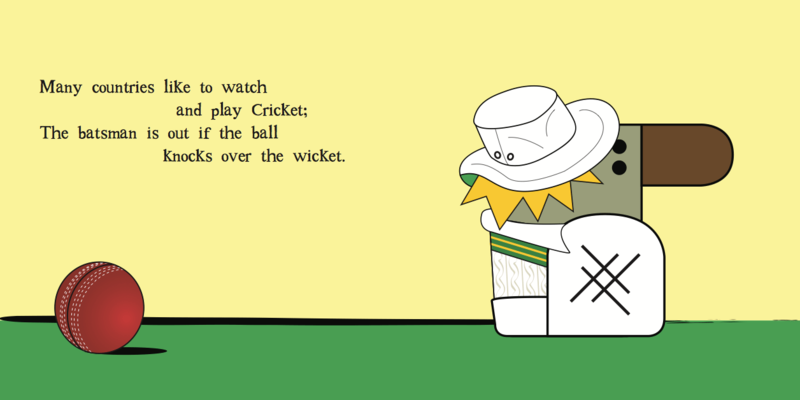 He does so on a global front, exposing children to new things like cricket and Aussie Rules football. The obligatory baseball and hockey are in there but it’s nice to see an author bringing other cultures into early learning in a simple way. It gives parents an opportunity to explore with their children things they might not get in an average toddler story. The artwork is very simple, which is great for the small folk, there’s not too much going on to distract them from the story. It’s bright and colourful and something I can see a small person carrying around until it falls apart. We all know how toddler get attached to their favourites! 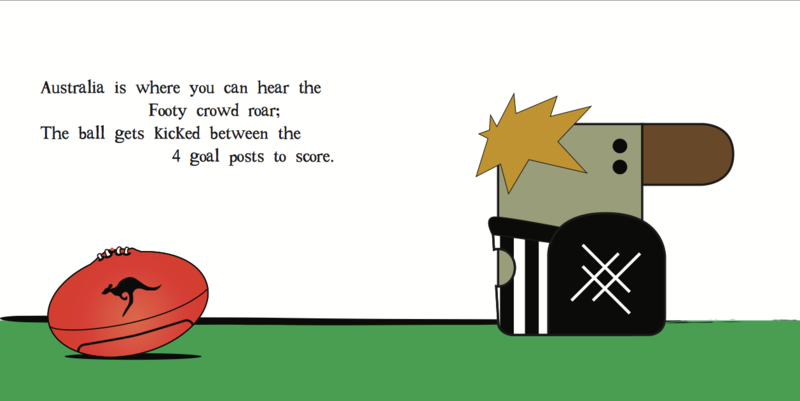 I love these books, I think they’re cute but also informative and simple in design. If you’re looking for something new to share with your child or a gift for a friend I know Noble Platypus will thrill for hours and give you something to think about too. I’m sure they’ll become a favourite in no time, just don’t leave them anywhere. Also be sure to visit Noble Platypus on facebook . He likes to be ‘liked’ too! Just a few weeks ago my cousin asked her friends for book recommendations for her daughters. I wasn’t able to share anything since I am not a mommy yet. I’ll have to tell her about this. Her kids are gonna go crazy over the since both of them love sports. Thats so great! I’m sure they’ll enjoy them.